In the summer, I love wearing and using products with fresh floral scents— something that uplifts me and brings me into the care-free mood summer often brings. 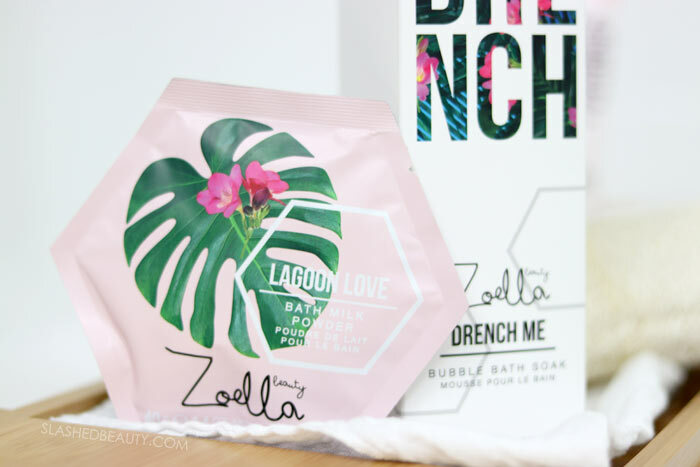 That’s why I’m loving the new Zoella Beauty Splash Botanics Collection, their newest line of bath and body products (plus a lippy!) that is giving me all the summer relaxation vibes. This might be my favorite Zoella launch to date, because the fragrances are right up my alley. As with each collection, we have an Eau de Toilette that encapsulates the whole mood of the line. The Botanic’eau Eau de Toilette ($12.95) is my new every-day scent this season. It’s described as a watery floral scent with freesia and iris flowers. To me, it smells exactly freshly cut grass in the morning. A little bit dewy and sweet, but very light and airy. You also get a really generously sized bottle for the price tag, which I appreciate. We’ve got two bath-focused products in the line, which I’m stoked about. Even when it’s warm, I find comfort in baths. Especially since I’ve been more active, they help me relax my muscles. Also, during my time of month, it’s the only thing that helps ease my cramps— no matter what the temperature is. The Drench Me Bubbly Bath Soak ($12) gives you bubble bath goals, for real. You only need to pour a little bit under running water, swirl it around and you’ve got fluffy mountains of bubbles. But it does more than just add bubbles to your water. The soak formula includes coconut water and lychee for hydration and radiance in the skin. You can definitely smell the lychee with the fruity scent this gives the water. If you’ve never smelled lychee before, it’s very similar to a mango fragrance. The other bath goody we have in this line is the Lagoon Love Bath Milk Powder ($4). It comes in a single-use packet filled with powder that is activated by your bathwater. It has the same coconut water and lychee formula, which makes the water feel… softer? The powder adds a milky appearance to your water, which makes me feel very luxurious. We also have a body wash in this line, and a generous bottle at that! The Make a Splash Moisturizing Body Wash ($8.98) cleanses while leaving my skin feeling super soft and smooth. The scent is a little less fruity and leans more toward the body mist in terms of the fresh and airy vibe. One of my favorite products that Zoella Beauty makes in general is their lotions. They have such a beautifully whipped and airy consistency that sinks into my skin effortlessly. 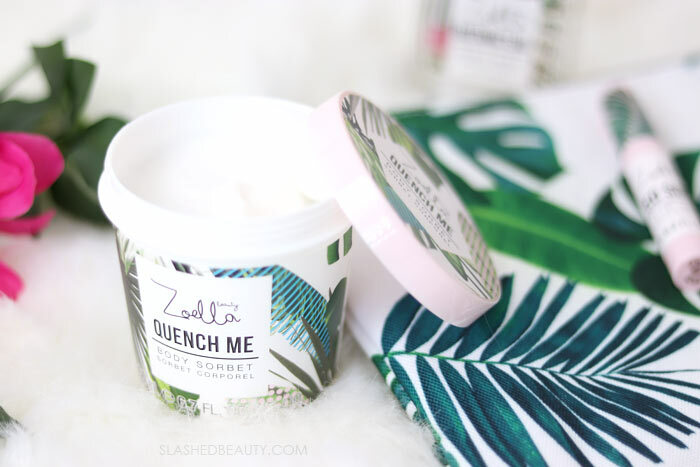 The new Quench Me Body Sorbet ($12) is no exception. It’s so lightweight, yet effective, transforming my skin immediately for a healthier appearance and softer feel. I only wish they made bigger jars of this stuff, because I feel like I need to ration it, it’s so good! Finally, we have a first-of-its-kind. 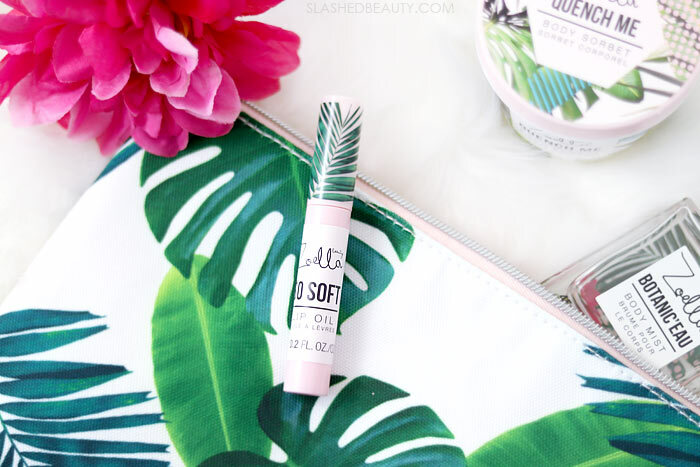 The So Soft Lip Oil ($7) is the first makeup item that the brand has put out (at least here in the US— correct me if I’m wrong!). It’s a clear lip oil that adds a really beautiful glossy appearance, but isn’t sticky at all whatsoever. It’s incredibly conditioning, and makes my lips feel super hydrated. It’s a thin formula so it doesn’t feel or look gloopy, and is overall just very comfortable to wear for a fresh look. I’m hoping they take this formula and create versions with tints in them! I’m also very appreciative that the price is still very budget-friendly, even though this feels like a high-end product. There isn’t one product I didn’t enjoy from the Splash Botanics collection– they’re an awesome addition to my summer routine. 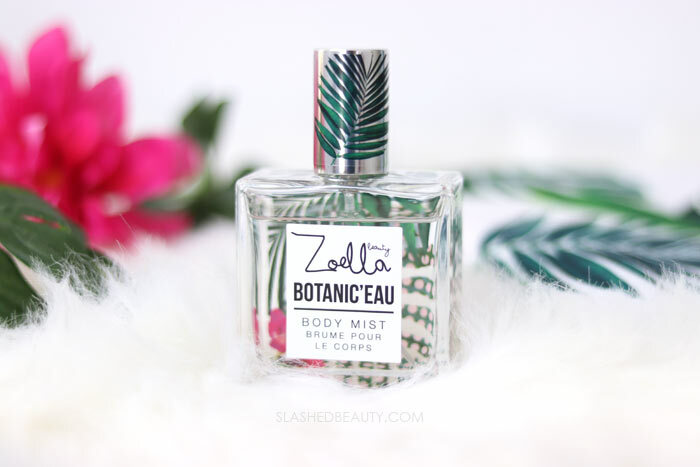 You can find the new Zoella Beauty Splash Botanics Collection at Ulta Beauty. 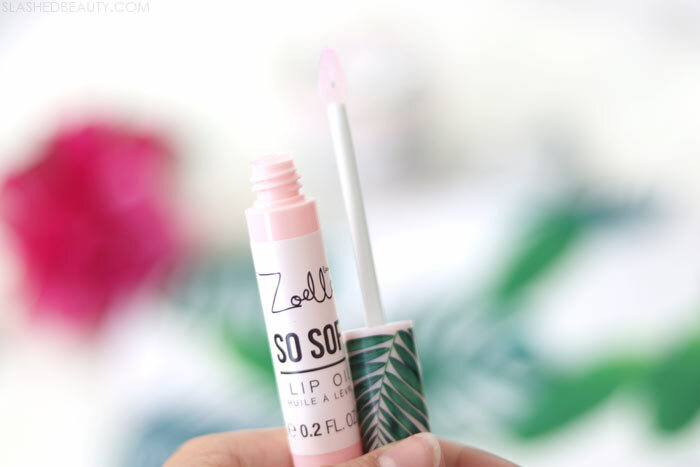 What has been your favorite Zoella Beauty launch so far? oooo, I really want to try some out! I’ve been hoping some of my Ultas will get it! Totally wish is was more available in the US!